Later this month I have the pleasure of co-teaching an Event Sustainability course at BCIT with the lovely Tahira Endean. One of my lessons will focus on explaining carbon emissions, their impacts and their role in events to our students. Whenever I do this, I feel frustrated by something that makes the task difficult: carbon emissions are more or less invisible at events. #Eventprofs Photo Challenge: Carbon Cool Events! Do you have a photo of a best practice at your event that helps to reduce or eliminate carbon emissions that you might be willing to share? If so, I’d love to see it! Post it to #CSRShareDay on Twitter between 4:00pm to 5:00pm Pacific time April 21, when I’ll be hosting the kick-off to this 24-hour social media event. Anyone posting their photo to the #CSRShareDay event on Twitter during this hour will be entered into a draw to receive a $50 gift card from Global Giving. My way of saying thank you for your help in making low-carbon events more visible and accessible to our students, and the #Eventprofs community! Simply post your photo with a brief caption to Twitter, using the #CSRShareDay hashtag. Do include your event name, hashtag or any partners’ handles if you like. Anyone posting during the first hour of the event (4:00pm-5:00pm Pacific time, April 21) will be entered into a random draw to receive the gift card. Each post earns you an entry, so please post more than once if you like! Photos from any type of event are eligible, and examples from around the world are encouraged. Miss the hour? Don’t worry – your examples and participation are welcome all day during #CSRShareDay! Hope to see you, and your photos, there! 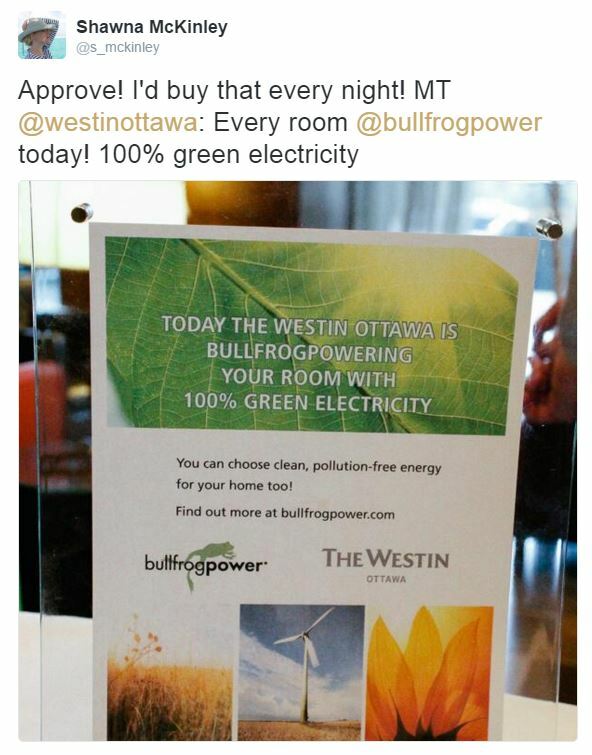 Green guest room energy: One path to “Carbon Cool” Events!